Stalking and domestic violence go hand in hand. There is nothing that causes more fear than having someone stalk you. Just imagine, someone lurking around your home or office spying on you is unbearable. You are always looking over your shoulder for that one person. Stalking can cause a person’s life to change dramatically overnight. Unfortuantely, the availability of technology and portable devices makes stalking simple and easy. A 2011 study conducted by the Center for Disease Control discovered that in a single year 7.5 million people were victims of stalking in the United States. 61% of women and 6% of men report being stalked by a current or former intimate partner. The CDC estimates that 15% of women and 6% of men have been victims of stalking in their lifetimes. Those are big numbers! 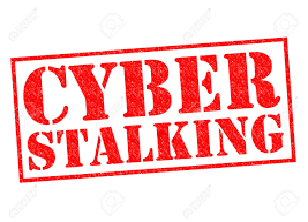 In Florida, stalking is when someone willfully, maliciously and repeatedly follows, harasses, or cyberstalks another person. That is a pretty broad definition and a lot of room for subjectivity. Courts can issue injunctions (restraining orders) to help protect you from a stalker. In addition to civil injunctions, stalking is a crime. 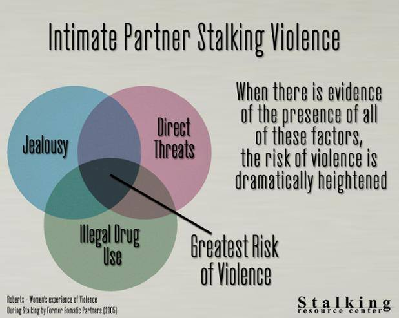 The stalking injunction process is similar to the domestic violence injunction process. If the stalker is domestically related, you can file for either a stalking injunction or a domestic violence injunction. An injunction is only one way to protect yourself. A good safety plan is a must. As a police officer, I have arrested stalkers. As a lawyer, I have represented victims of stalking. A stalking victim should diligently document events or occurrences that could be stalking related. Always report every stalking incident to the police and get a case number. Most importantly, the initiation of a stalking report will start a law enforcement investigation. Keep a journal of your stalking and be able to document a timeline of the stalking. Write down every little thing that could be related to your stalking. If you come home and a potted plant is missing from the front porch, write it down. No matter how absurd something may seem, write it down. Make copies of all communications from the stalker, emails, text messages, notes, calling cards, voice mails and the like. Lastly, take pictures of any damaged property. If the stalker is a stranger and you do not have a history to compare to, you must pay very close attention to the subtle details. For example, if the stalker is known to you and you have had previous communications, look back through those communications for clues. Also, look for changes in behavior, justifications used by the stalker or anything else that could show the stalker’s intentions. Most importantly, try to think of anything that could provide insight into the stalker’s motivations. We will help you with free information and resources. We will show you how to create a safety plan. Unfortunately, cyberstalking is the most common form of stalking, it is easy and requires little effort. Easily, from the convenience of the stalkers home, or practically anywhere in the world, a cyberstalker can operate and commit terror upon his victim. With the popularity or social media and the abundance of online records searches, a stalker can find out a great deal of information about his victim. Make sure your social media accounts have the proper privacy settings. Also, review friend/follower list for possible spoof accounts. Cyberstalking can be difficult to prove. Evidence linking any communications directly to the stalker is crucial to your case. Just because you believe only the stalker could have sent something or known something specific is not enough. An experienced attorney can help you present your best stalking case to a court. “Stalking and cyber-stalking are 21st-century forms of domestic abuse aimed at terrorizing a victim and rendering the person helpless,” said Miami-Dade State Attorney Katherine Fernandez Rundle. Placed a tracking device on a victim’s car and followed her around. The stalker would appear at random locations and confront the victim. This type of stalking has become very popular. Hacked into a victim’s computer and was able to make copies of all communications, keystrokes and control the computer remotely without the victim noticing. Published intimate photographs and videos of a victim on several pornographic websites. Secured access to the victim’s home security system and watched the victim through cameras in her home. Appeared at the victim’s home nightly, watched her through the windows and listen in on conversations to see if she was seeing another man. The stalker would confront the victim with the conversation details. If you are a stalking victim, please call our office immediately to discuss your case with one of our lawyers.